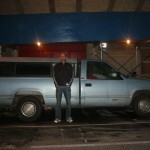 Rob the Mover – Serving NYC! “Rob the Mover” was born out of a service Rob provided to Ground Zero workers in 2005. He worked for a non-profit organization that delivered gloves, boots, masks, and food to the personnel. He began to post his services on Craigslist in order to make a little side money and the demand for his services grew rapidly! Today, Rob has expanded his business from a simple pick-up truck to dozens of movers and some professional moving trucks. He’s become one of the most trustworthy names in the industry, with the experience and passion to provide the best possible service. Rob the Mover and his movers are pleased to offer their New York clients specialization in moving from apartment to apartment, which can be an extremely stressful process. With over 130 five-star reviews on Yelp, the acclaim and recognition Rob and the team receive grows every day! Continue to browse our website for more information, get a quote, or contact Rob for your moving needs! Experience and proficiency are both important virtues to Rob and his team, along with total dedication to customer satisfaction. Since 2005, hundreds of satisfied customers have taken advantage of the unbeatable services that Rob the Mover and his team provide. Their customers’ rave reviews speak for themselves, each calling attention to his dedication and care for every moving job. Former customers have noticed the Rob the Mover difference, and you will too! Rob and his team are dedicated to their profession and strive to give each New York customer the experience they deserve: a simple, stress-free move from the best team in the industry. Save yourself the hassle of moving without help! Rob and his team are standing by to make your move the easiest it can be. We guarantee your satisfaction and assure that you’ll get the peace of mind you deserve, from the moment we step through your front door to the moment we move your last box. Put your trust in the hands of reliable, highly-skilled individuals with customer service as their top priority! Fill out our quote form, it only takes five minutes. Or, call us at (646) 867-2825 if you prefer.